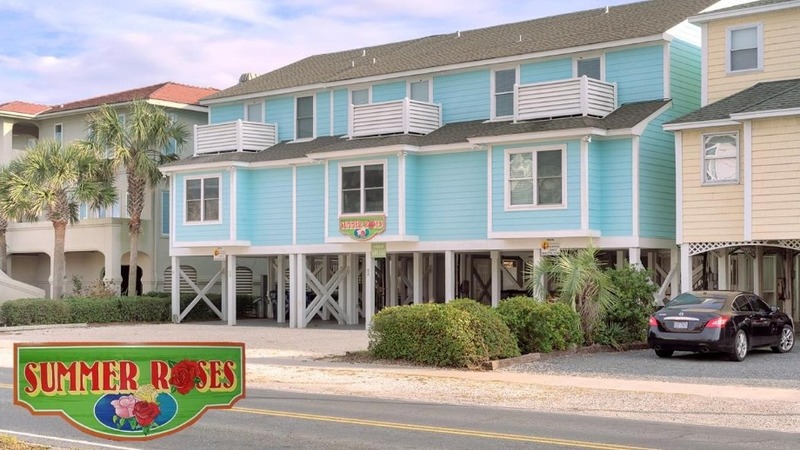 For a small beach wedding ceremony and reception, Summer Roses would be a perfect oceanfront wedding venue. 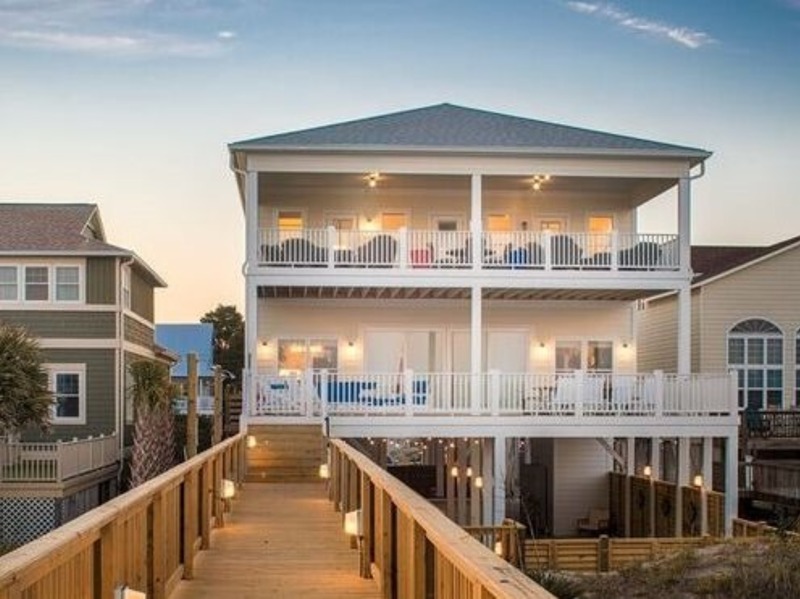 With sleeping space for sixty people and ample parking, Summer Roses can host a wedding celebration with wonderful views of the ocean and beach. 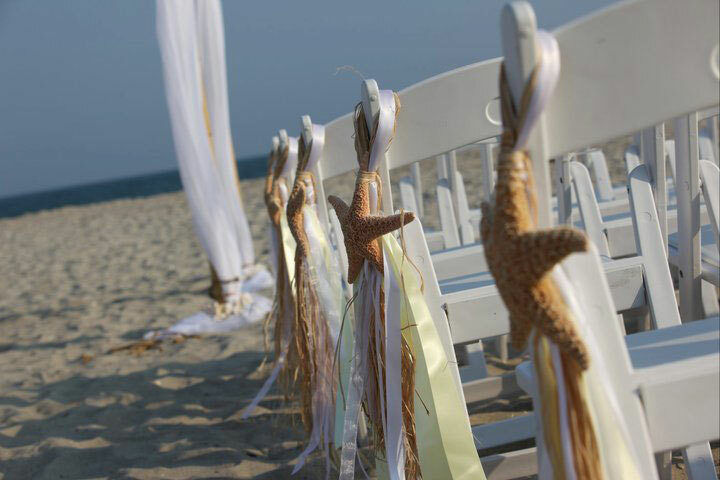 You can hold your ceremony right on the beach, with two accesses from the property. 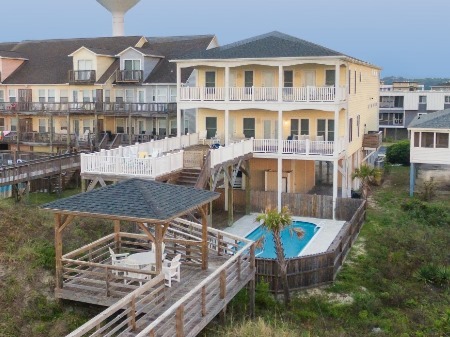 A poolside reception would fit perfectly with a seaside celebration in Ocean Isle Beach. 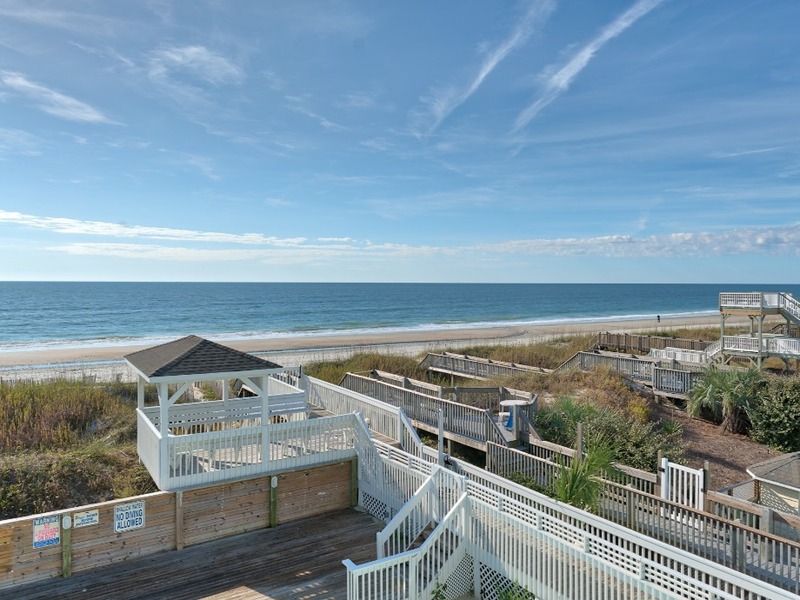 You can find more photos of this oceanfront wedding venue on the property listing, 93W1- Summer Roses. Call for rental rates for the triplex. Non-refundable fee of $1500.00 for payment for use of the venue for a specified date. This payment must be paid by check or money order along with the reservation total. Mandatory security deposit of $1000.00. This deposit is refundable by check within 30 days of departure date. Click here to read our Summer Roses Wedding/Event contract. 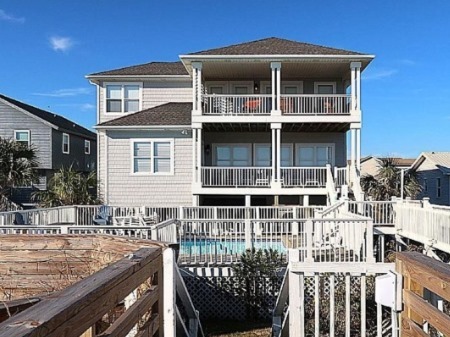 This rental is subject to all regular taxes, reservation fees, and travel insurance fees. To hold any event at this venue, all three units must be rented. This includes: Unit C- Crimson Rose, Unit D- Dusty Rose, and Unit E- Edith Rose. Event Rates apply and may differ by property. An Event Contract is required for weddings/events held at any rental home. Call for details.